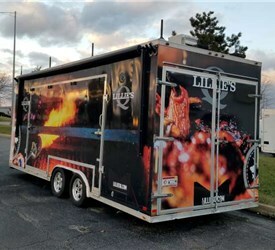 Whether you’re in need of a mobile, open-air concert venue, an outdoor vending-style configuration or anything that requires a great deal of space, our stage trailers are exactly what you need. 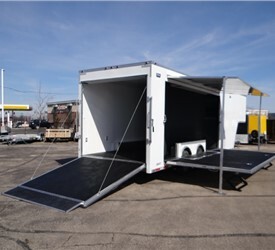 For decades, Advantage Trailer has been crafting unique custom stage trailers to meet the needs of our valued customers. 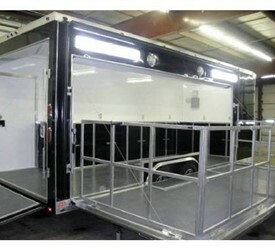 Our professional design experts and fabricators have the knowledge and capabilities to execute any creation imaginable. 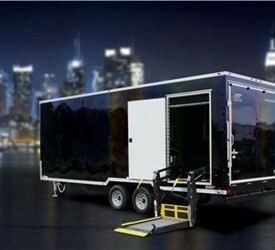 Whether you need side stages or rear stage setups, our specialists will engineer a solution to meet your exact requirements; you just have to ask! 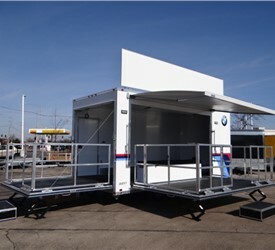 With our vast experience of designing, fabricating and servicing stage trailers, we can craft yours with ease and efficiency. 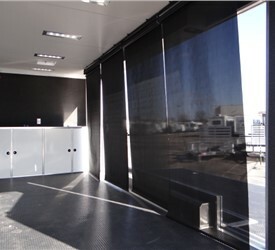 Before your project is started, we will consult with you to learn your specifications. 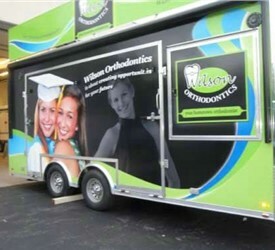 If you don’t have any designs in mind, our crews would be happy to help you out. 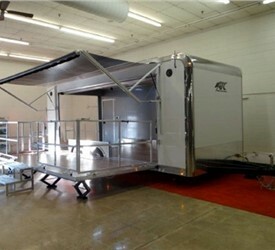 On top of their design and fabrication talents, they also have an extensive understanding of marketing. 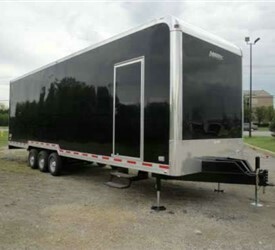 Because of this, they can help you build a custom stage trailer that will leave a lasting impression on your audience. 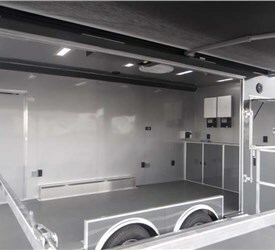 When working with us, you can rest easy knowing your project is in the hands of some of the most experienced and well-trained professionals in the industry. 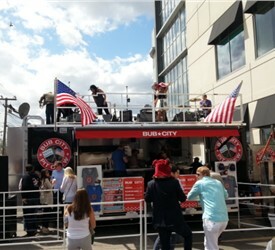 They’ll provide you with a finished product that is quick and easy to set up for any event. 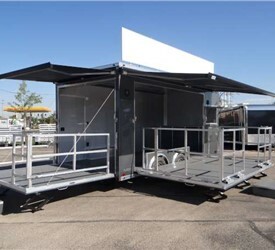 Looking to dazzle your audiences with a mobile theater or make your trailer the social center of the event by implementing a bar? 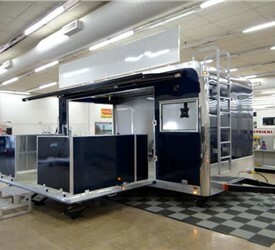 Whatever your heart desires, we will make it for you, regardless of uniqueness. 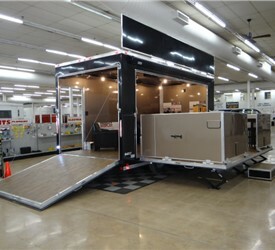 In fact, we welcome the challenge. 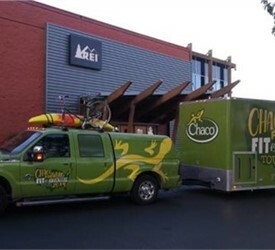 Do you have a trade show tour coming up? 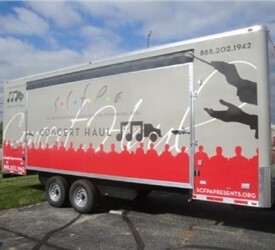 Make your company the talk of the event with one of our stage trailers. 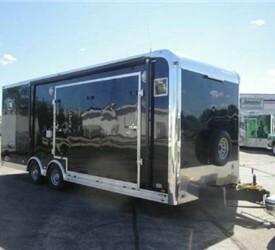 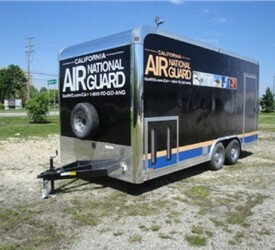 Call Advantage Trailer now or fill out our online form to receive your free quote today! 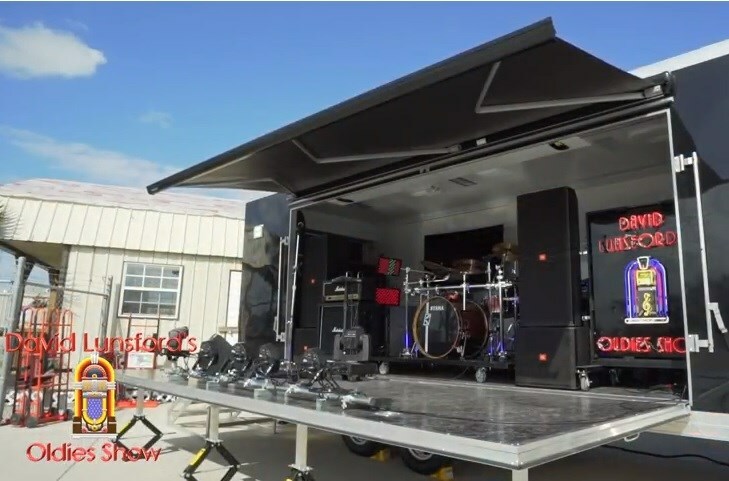 See the band and our custom stage trailer in action!